Oceania Cruises welcomed Insignia back to the fleet this morning following a two-year charter and an extensive dry dock. Insignia is the first of three sister ships from Oceania Cruises to undergo a massive $50 million refurbishment. Nautica and Regatta are scheduled to enter dry dock and receive similar enhancements over the next four weeks. Renovating three ships from bow to stern in a six-week time period marks the largest refurbishment program in Oceania Cruises’ history. The multimillion dollar makeover brings many of the interior design elements from the award-winning Marina and Riviera ships to Insignia, Nautica and Regatta while maintaining the warmth, intimacy and charm Oceania Cruises’ guests cherish in the 684-passenger ships. In addition to elegant new furnishings and décor for all public rooms, suites and staterooms, Insignia added several new guest experiences, including the ever-popular Baristas coffee bar, a cook-to-order grill at Terrace Café and new outdoor recreation on the Sports Deck. In preparation for two special 180-day voyages, a version of the Artist Loft enrichment center was added exclusively to Insignia during the dry dock. The “Around the World in 180 Days” cruise departs from Miami on Jan. 10, 2015, and the “180 Day World Odyssey” sails from Miami on July 8, 2015.
new bathroom design that is elegant, yet contemporary in nature. The bathroom features wall-to- wall marble with a decorative inlay centerpiece, along with an expansive granite vanity that sits opposite an inviting oversized shower. The Penthouse Suites received all-new furnishings, rich upholstery and a vibrant, yet calming palette that reflects the sea, sun and sky. All staterooms were appointed with new décor elements featuring a refreshing sense of style and elegance. - Terrace Café: The main casual dining option on board the ship is brand new from top to bottom. A resplendent collection of new furnishings, floorings, fixtures and lighting accompanies the stunning floor-to-ceiling window views. The pièce de résistance is the cook-to-order grill featuring delicacies such as steaks, chops and lobster tail. - Baristas: The popular coffee bar where master baristas prepare complimentary illy brand espressos and cappuccinos throughout the day now makes its debut on Insignia. 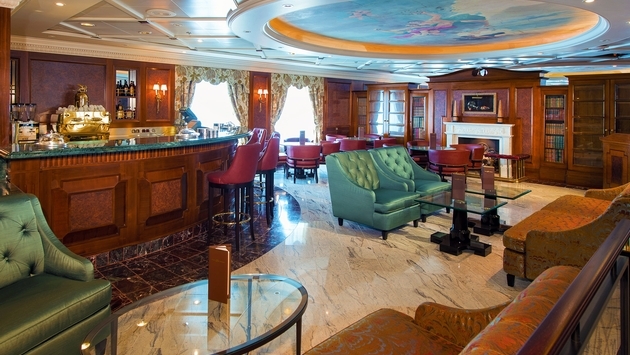 Baristas is the perfect location to relax with a beverage in one of the comfortable lounge chairs or sofas and is centrally located on deck 5, near the Grand Dining Room. - Upper Decks: The Sports Deck, located atop the ship, received a new miniature golf course and shuffleboard courts, along with other deck games. The main pool area, ringed with luxurious sun beds, shimmers with blue and white mosaics, beautifully contrasted with rich teak decking. - Relaxation & Enrichment: The Canyon Ranch SpaClub exudes a sense of tranquility with new décor elements including a flowing mosaic display. Inside the spa, guests will enjoy peaceful steam rooms with beautiful new tile mosaics, along with renovated changing areas. The all-new Artist Loft is tucked inside Horizons Bar, providing a variety of enrichment programs for guests to enjoy. 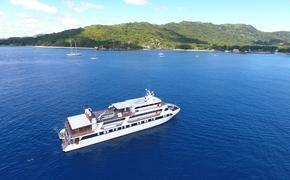 - Lounges: All of the ship’s main lounges are refreshed and refurbished. Horizons bar features a new color palette of soothing sea blues, cocoa brown and mint, complemented by new sofa, chair and table furnishings. Martinis maintains its classic ambiance with all-new furnishings. The Insignia Lounge was completely refurbished with new carpeting and chairs, along with luxurious new fabrics and upholsteries. The transformed Insignia set sail this afternoon for a 7-day “Jewels of Europe” cruise. Similar enhancements will be added to Nautica and Regatta during their upcoming dry docks, with Nautica scheduled to debut on May 16, 2014, for a 10-day “Cliffs & Coves” cruise and Regatta on June 7, 2014, for a 10-day “Majesty of Alaska” cruise. For more information on Oceania Cruises, visit OceaniaCruises.com, call 855-OCEANIA or contact your travel agent.